It is by sheer providence that the Dominican Sisters of Mary Immaculate Province began their foundations in the archdiocese of Galveston- Houston. When war broke out in 1975, the Sisters missioned along the coast of Vietnam were left with no choice but to join the wave of exodus, brave the tumultuous boat journey on the high seas and eventually set foot on the United States of America soil through the very mercy of God and the generosity of others. The wintry climate of Connecticut, however, proved to be too harsh for the Sisters so again they sojourned southwestward to the Lone Star State where the late Bishop John Morkovsky and his then Chancellor, Father Joseph A. Fiorenza (now Archbishop Emeritus) of the archdiocese of Galveston-Houston warmly welcomed them, through the orchestration of two Dominican friars: Father Vincent Du Huu Nguyen, OP and Father Gerald Joubert, OP. 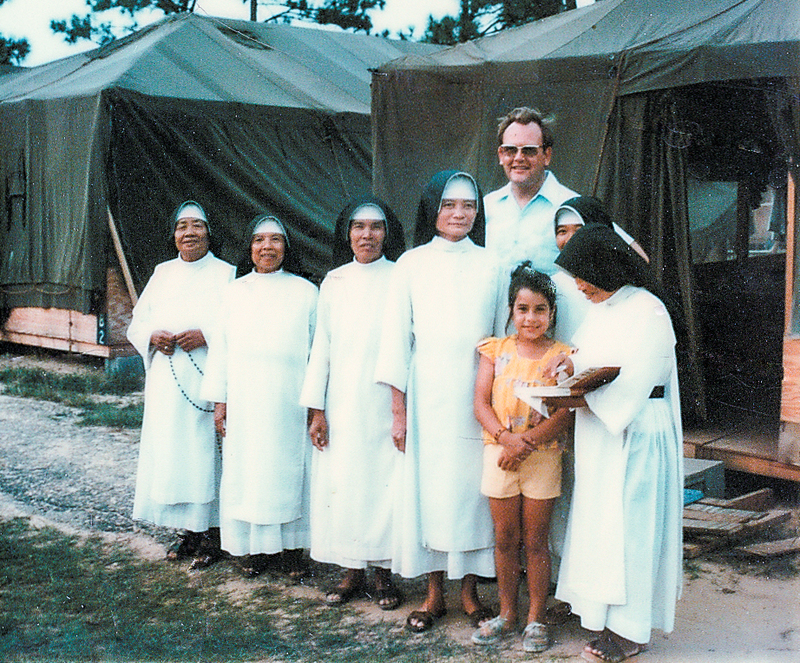 Here the Sisters flourished; they served the growing community of Vietnamese immigrants as catechists and their presence and witness soon attracted young vocations. With a steady growth, the community has been recognized as a province of the Motherhouse, Dominican Sisters of St. Catherine, in Vietnam. Today the Sisters are primarily educators, teaching at all grade levels from early childhood to college education.